Foiled by Meterage Yet Again! How is it that it’s Monday already? I have not intentionally fallen behind on my posts, but it feels like I’ve just blinked and June has somehow ended. Anyone else feel this way? Just me? Great. I’m done Section 1 and am well on my way with section 2, and all in all I’m really happy with this project. That is, I’m happy I’m no longer playing Yarn Chicken, a game I woefully lost. Remember weeks ago, when I wrote about my Captain America shawl and didn’t pay attention to required meterage? And remember when I had to frog almost half a hat because I, oh that’s right, didn’t pay attention to meterage. Well, I wasn’t about to do that again. Pattern called for 325 metres. 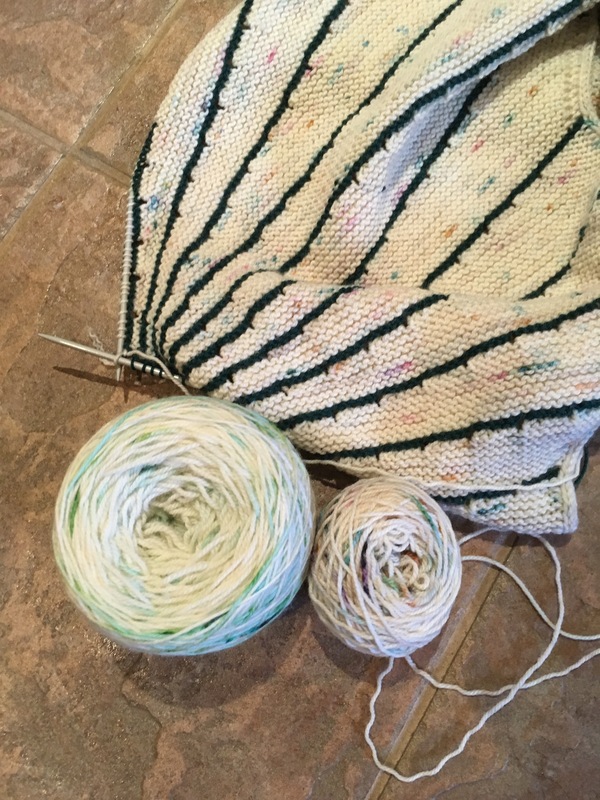 I had 345 metres in my skein of Mineville Wool Project. I’ll be great, I foolishly thought. Only a handful of rows to go, and I ran out of yarn. A trip to the yarn store later, I find a skein that’s as close of a match as I’ll be able to get, so I work a few rows, and the new yarn sticks out like a sore thumb. It was painfully obvious that the skeins didn’t match. So I frogged the entire wedge, rows and rows of work, and I re-worked the wedge alternating the two skeins. It worked, and with the cabled edging being worked along the top, I don’t think it will be as noticeable. 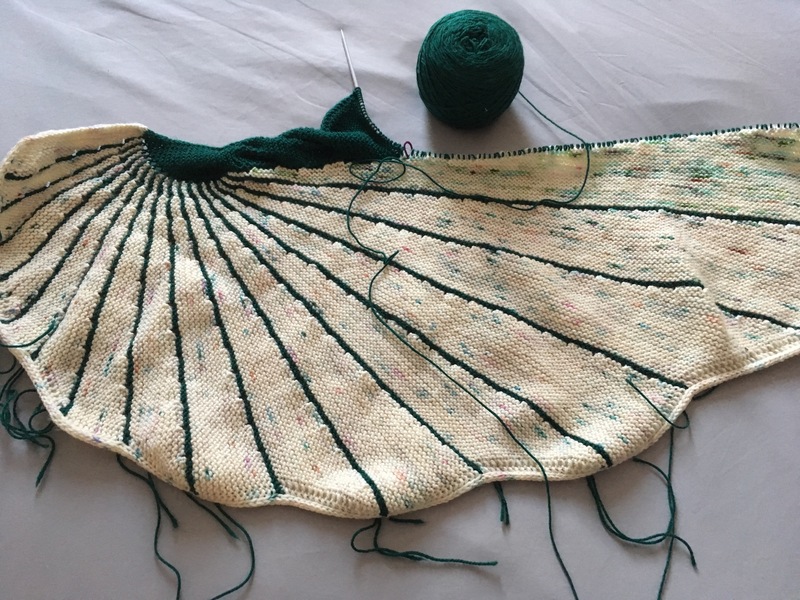 Author LTerechPosted on June 25, 2018 June 25, 2018 Categories KnittingTags knit, Knitting, pattern, project, Yarn5 Comments on Foiled by Meterage Yet Again!